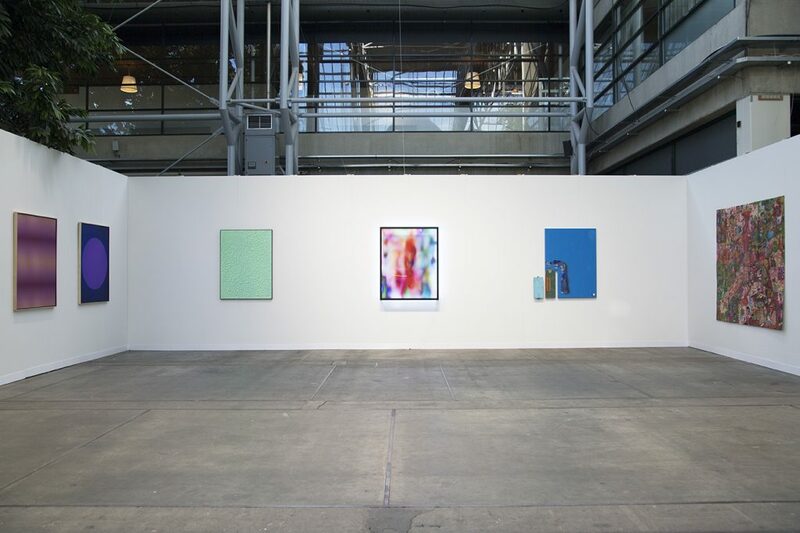 Steve Turner will present works by Jonas Lund, Camilo Restrepo, Rafaël Rozendaal, Michael Staniak and Yung Jake when it exhibits at the CODE Art Fair for the first time. 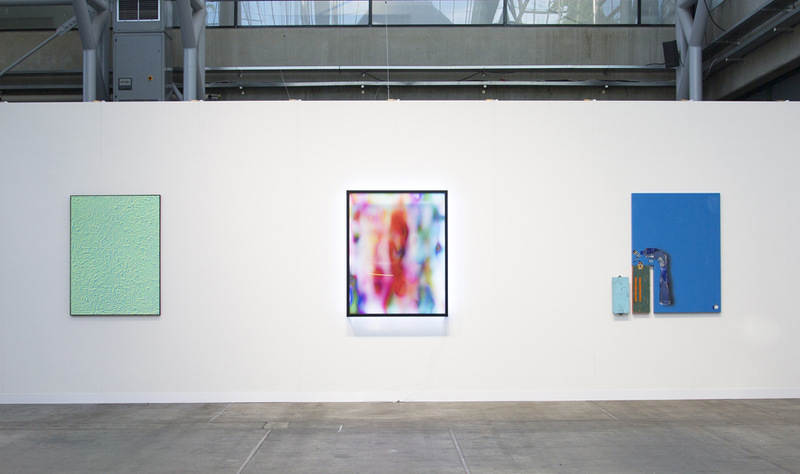 Jonas Lund will present an illuminated digital painting from his New Now series. 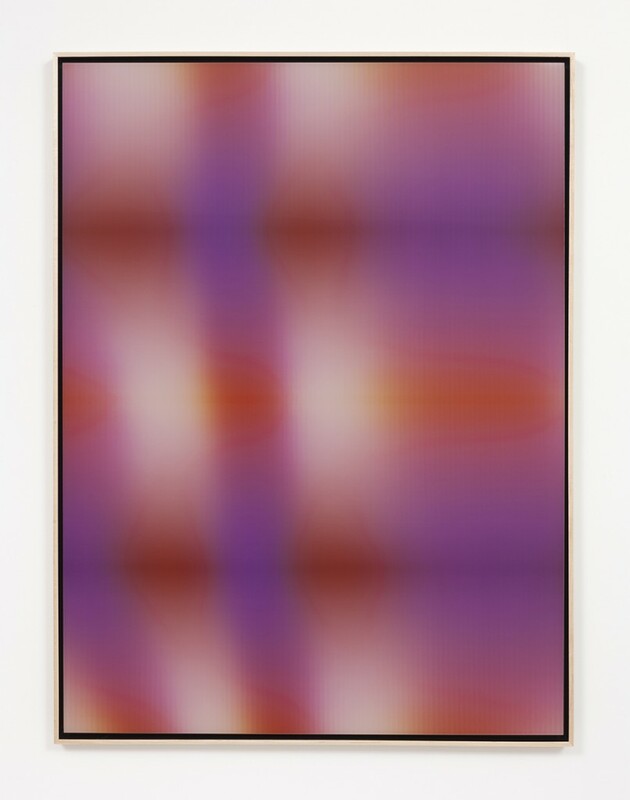 Lund programmed an algorithm that analyzed hundreds of images of his past paintings to generate new optimized content. Printed on fluorescent plexiglass and back-lit by LED frames, they represent several years of Lund’s research into the factors that make a work successful. Camilo Restrepo will present a large-scale drawing that is inspired by his lifelong proximity to the epicenter of drug-related violence in Colombia. A Land Reform 9 is comprised of individual sheets of paper that were torn from the artist’s drawing book, crudely taped together, drawn upon in ink and water-soluble pigments; damaged by violent streams of water; and then reconfigured, repaired and reworked. 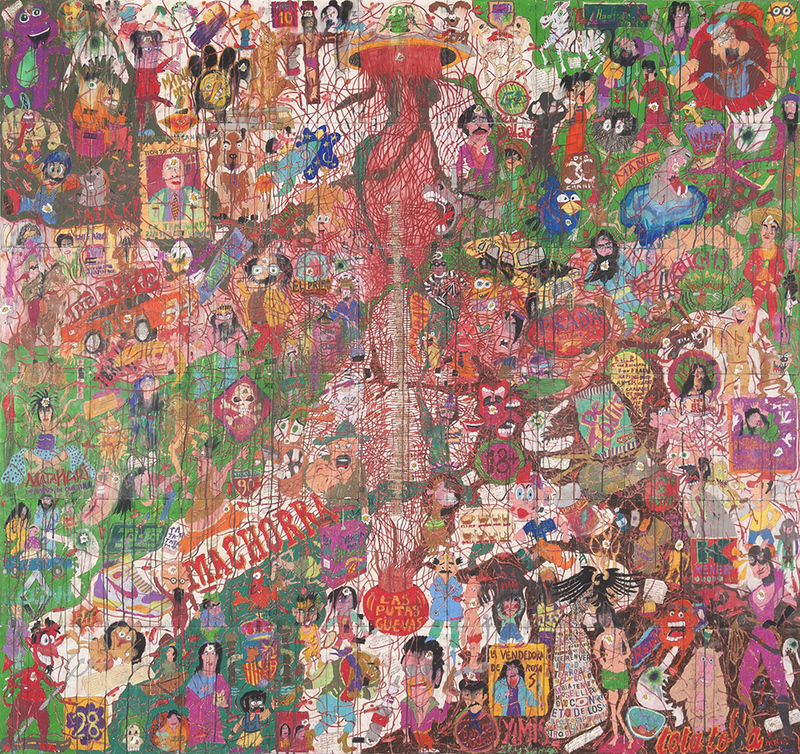 The drawing is covered in collaged newspaper clippings and cartoon-like characters that are based on the aliases of narco traffickers as reported daily in Colombian newspapers. 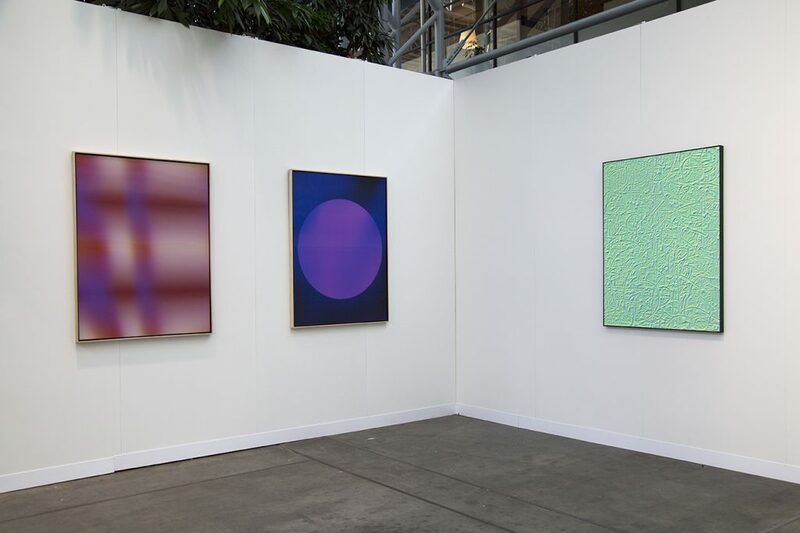 Rafaël Rozendaal will present two lenticular paintings. Rozendaal first rose to prominence when he created websites that functioned solely as works of art. These websites, which reside somewhere between painting and animation, could only be acquired by collectors if they agreed to host them. 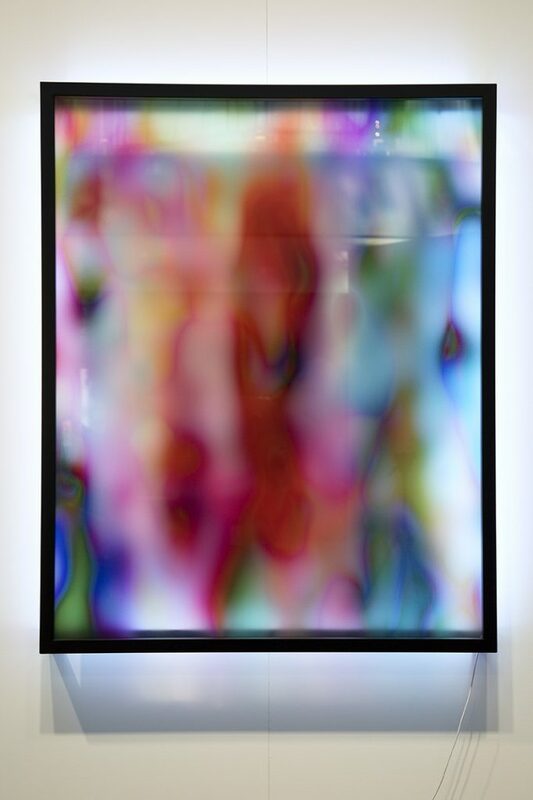 Seeking to extend the imagery of his websites, Rozendaal began making lenticular paintings that appear static when seen from a fixed point, yet become animated revealing new colors and dimensions when a viewer moves. Michael Staniak will present a painting that appears to be digitally printed but is actually created entirely by hand. 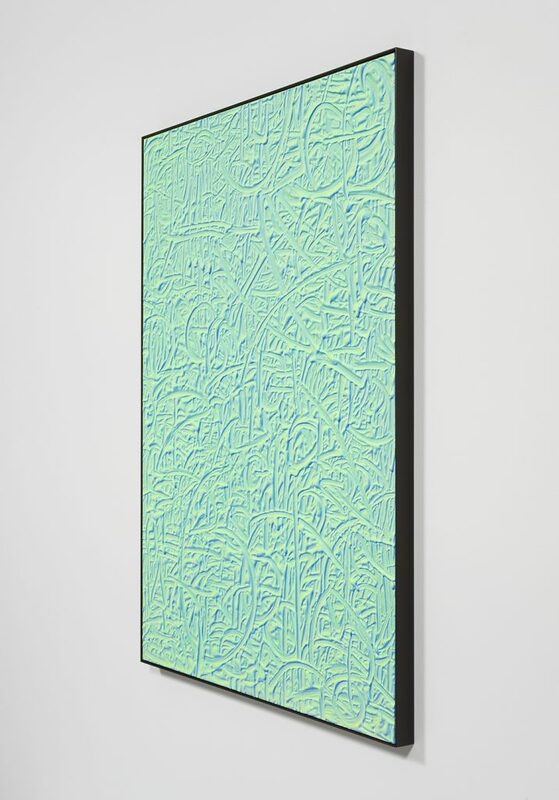 He drew gestures similar to those one might make while using a touchscreen device into casting compound and then painted luminous shades of green, blue and yellow to create the illusion of a flat surface that glows like a computer screen. 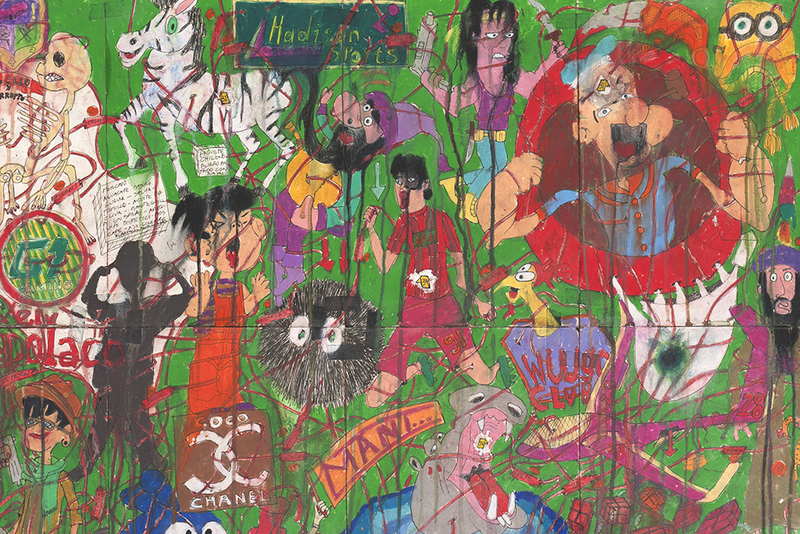 Yung Jake will present a new painting that consists of found metal fused with a powder-coated steel panel on which he has both painted and printed symbols of his online and offline worlds. 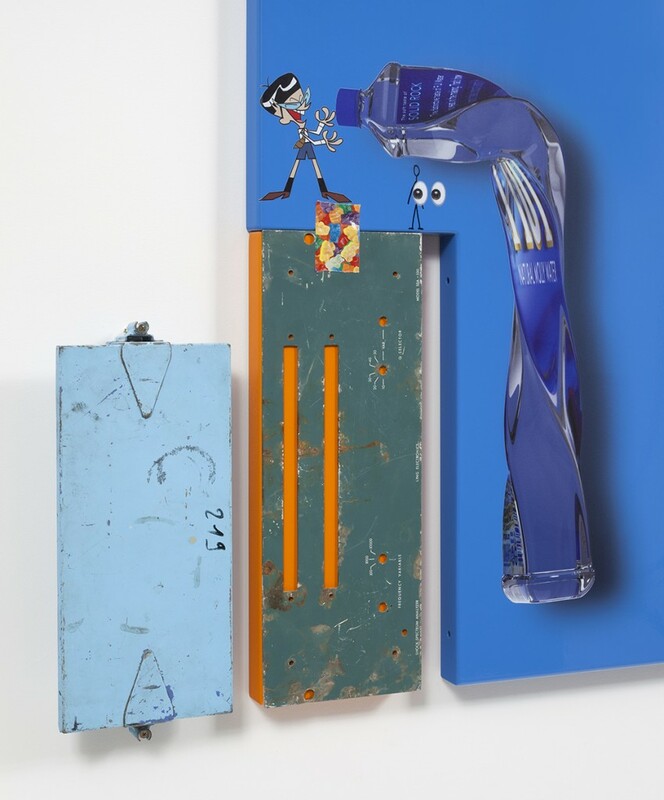 The central image is a 3D-rendered twisted Fiji Water that relates to the artist’s interest in contemporary lifestyle and branding, social interactions and consumption habits. Jonas Lund (born 1984, Linköping, Sweden) creates paintings, sculpture, installations and new media works that utilize data from his studies of art world trends and behavior. He earned an MA at Piet Zwart Institute, Rotterdam (2013) and a BFA at Gerrit Rietveld Academy, Amsterdam (2009). 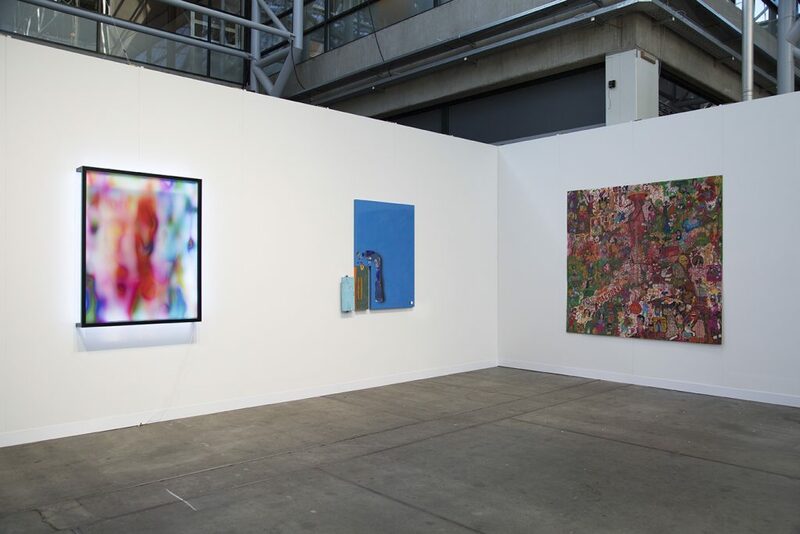 He had solo exhibitions at Showroom MAMA, Rotterdam (2013) and Steve Turner (2014, 2015) and has had work included in numerous group exhibitions including at Eyebeam, New York; New Museum, New York, The Moving Museum, Istanbul; and Van Abbemuseum, Eindhoven. Camilo Restrepo (born 1973, Medellín, Colombia), earned an MFA from CalArts (2013) and a masters degree in aesthetics from the National University of Colombia (2008). 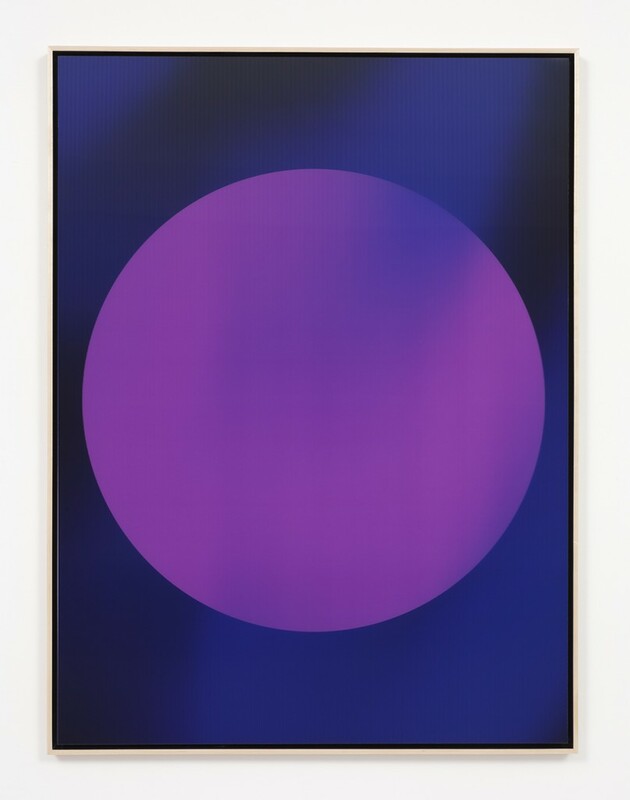 He has had three solo shows at Steve Turner (2013, 2014 & 2015); ARCO Madrid (2015); Untitled, Miami Beach (2013); Galería Santa Fe, Bogotá (2011); Casa Tres Patios, Medellín (2010); Galería de la Oficina, Medellín (2010) and LA Galería, Bogotá (2009). In 2010, Restrepo was nominated for the Premio Luis Caballero, the most important prize in Colombia for artists over 35. 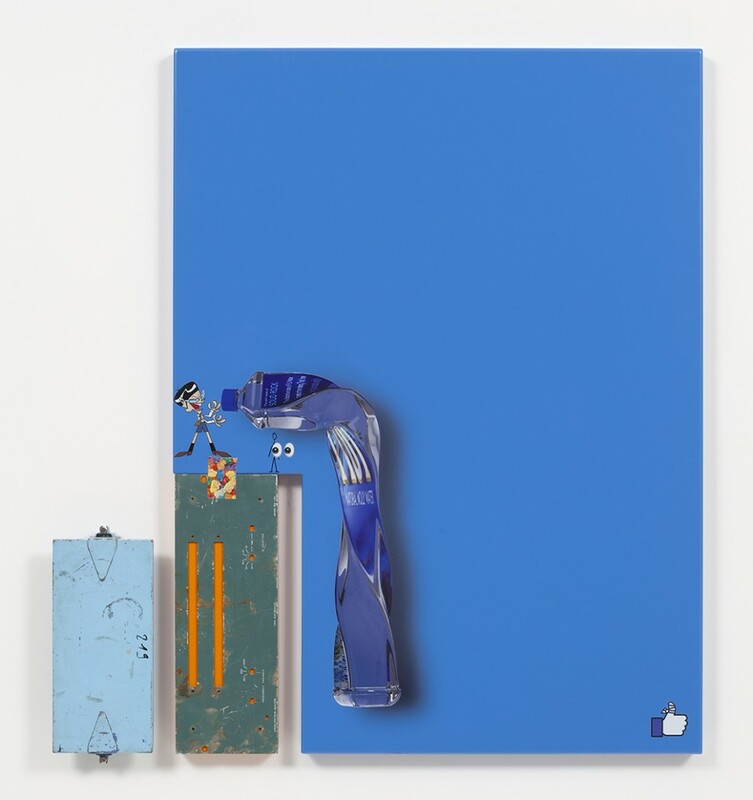 Rafaël Rozendaal (born 1980, Amsterdam) has had solo exhibitions at Steve Turner, Los Angeles (2012, 2014 & 2016); Spencer Brownstone, New York (2010), TSCA Gallery, Tokyo (2010 & 2016), Netherlands Media Art Institute, Amsterdam (2010) and Stedelijk Museum, Amsterdam (2006). His works were presented on a dozen screens in Times Square (2015); on the world’s largest LED screen in Seoul Square (2012, curated by Lauren Cornell) and have been included in the Internet Pavillion at the Venice Biennial (2009) and the Valencia Biennial (2005). He also participated in Maps for the 21st Century at the DLD Conference in Munich (2012, curated by Johannes Fricke & Hans Ulrich Obrist). Michael Staniak (born 1982, Melbourne) earned a BFA and an MFA from the Victorian College of the Arts, Melbourne. 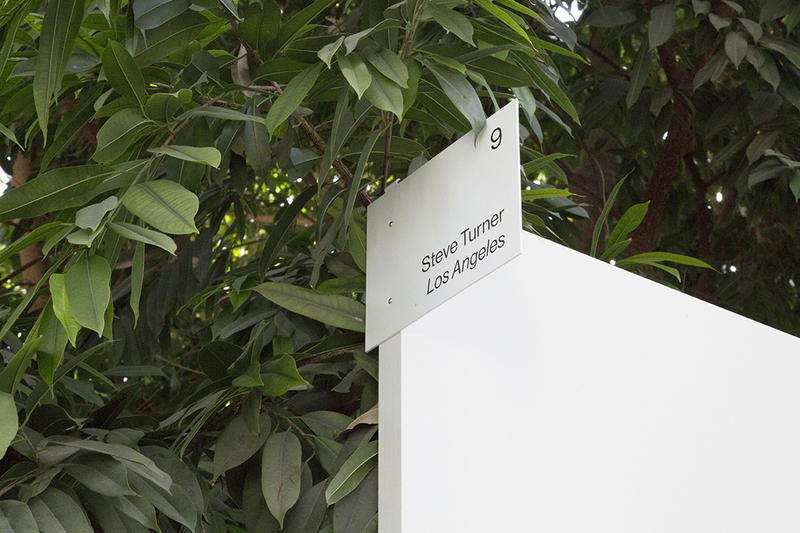 He has had solo exhibitions at Contemporary Art Museum, St. Louis (2015); Annarumma Gallery, Naples (2015); and Steve Turner, Los Angeles (2014 & 2015). 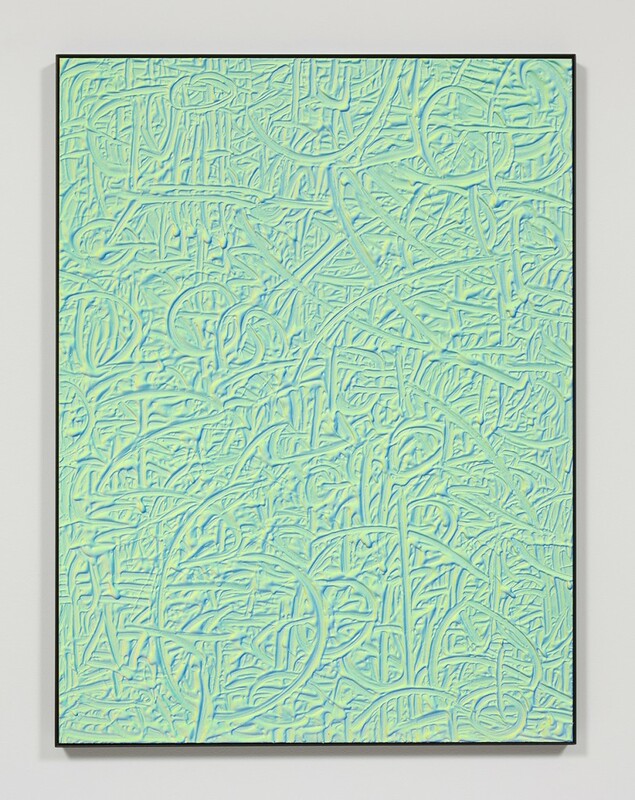 His work has been included in group shows at The Moving Museum, Istanbul (2014) and Kunsthalle Vienna (2014 & 2015). The Contemporary Art Museum, St. Louis will publish a monograph later this year. Established on the Internet in 2011, Yung Jake earned a BFA at CalArts in 2012. He is best known for his rap videos that integrate the worlds of hip-hop, technology, social media and contemporary art. 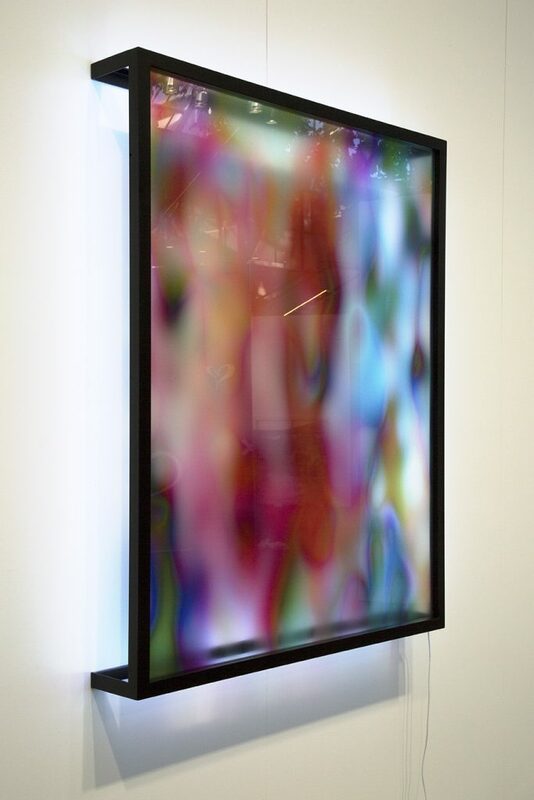 Datamosh (2011) parodied the trend in music video of datamoshing (a digital technique that distorts images) while playing to a contemporary digital art audience. In E.m-bed.de/d (2012), he commented on the pursuit of Internet fame. Since 2014, Yung Jake has developed a series of paintings that combine the permanence of steel with the ephemerality of new media. 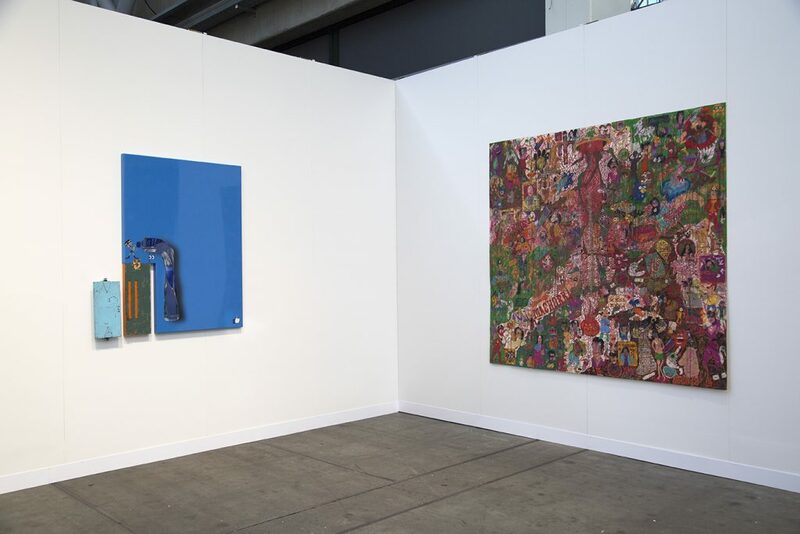 Yung Jake has had three solo shows with Steve Turner (2014, 2016) and a solo project at Art Berlin Contemporary (2014) and Art Brussels (2016). His work has been screened at Sundance (2013) and he has performed in Los Angeles at the Hammer Museum and REDCAT (2013); Museum of Contemporary Art (2014), J. Paul Getty Museum (2015) and in New York at MoMA (2016). He will have a solo exhibition at Zona Maco, Mexico City in 2017.